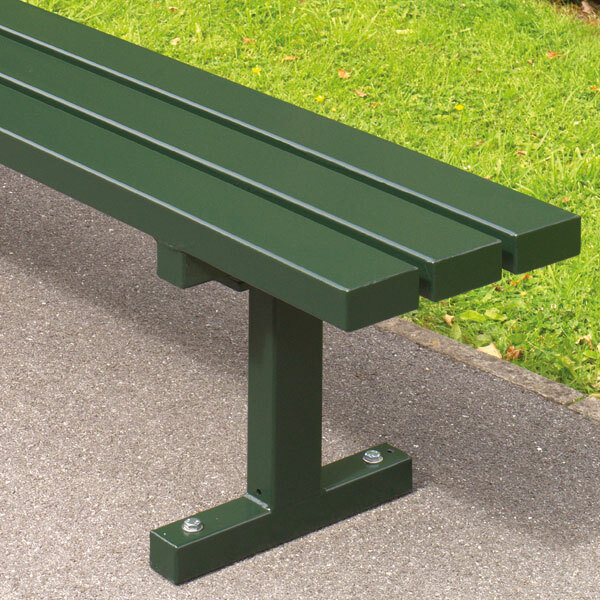 All steel furniture is widely specified to address the vandalism problems encountered in today's hostile environments. Although the seats can be cold to sit on, this furniture will survive where other types will not. Unless driven into by vehicles the only part of these seats that normally suffers damage is the surface finish. 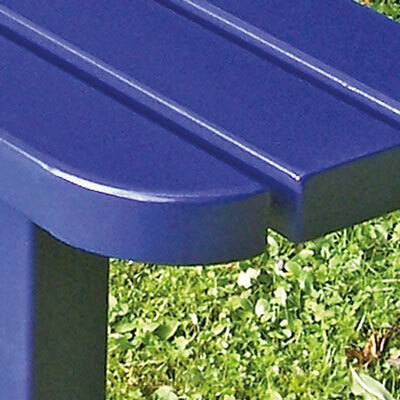 We offer these seats in two alternative finishes: Acrylic Coating or Street-Tough. Acrylic Coating is suitable if funds are restricted and vandalism is not expected to be serious. 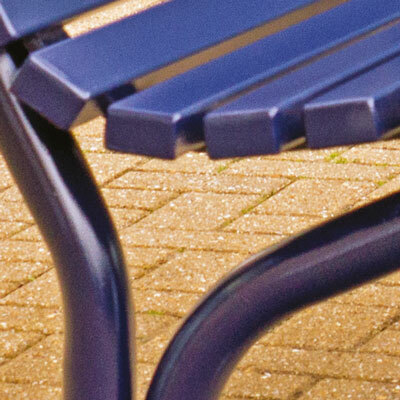 Acrylic Coating is not suitable for sea front environments, where rusting would rapidly occur. Our Street-Tough finish combines the durability of Galvanising to ISO 1461 with an attractive maintainable coating. These finishes are described in detail in metal finishes. The range includes stylish products for high profile areas, as well as heavily built utilitarian items. 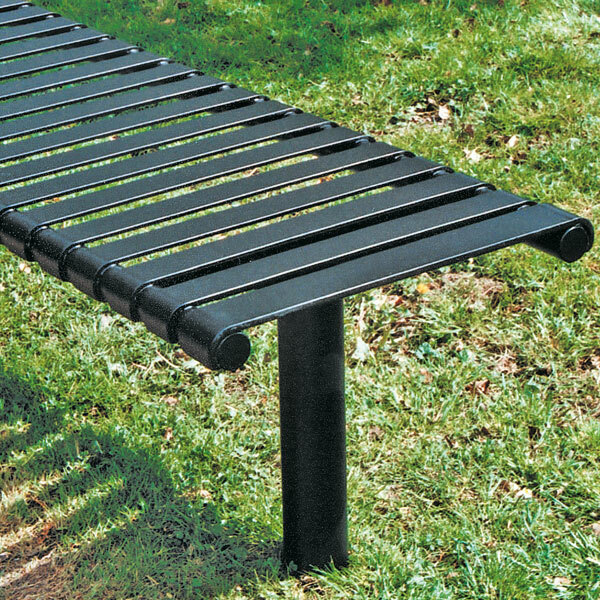 We also manufacture complementary ranges of all steel litter bins and picnic furniture . These seats can be specified for commemorative purposes for which several types of plaque are available clcik here to see inscription service. The seat has an elegant curved back with a particularly comfortable sitting position, and is suitable for town centres and other areas where appearance is important. This design is cost effective, immensely strong and resistant to vandalism. They are Street-Tough finished as standard. 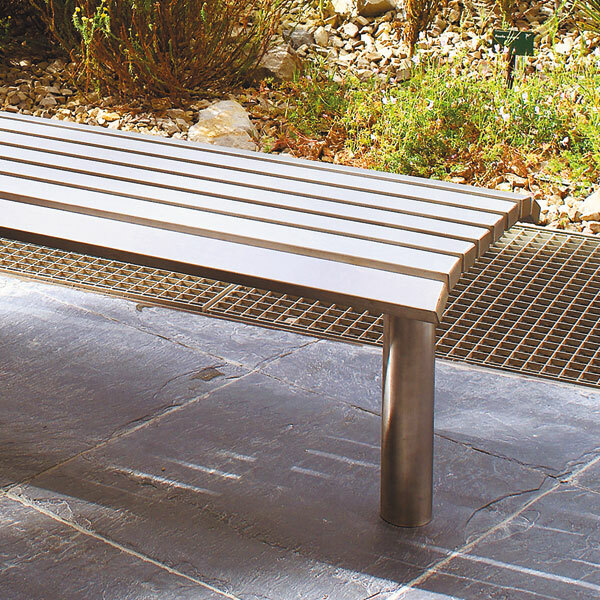 the Newport Bench is available with a rounded corner option that adds an element of elegance.